Introverted Feeling (Fi) is among the least understood of the eight personality functions. 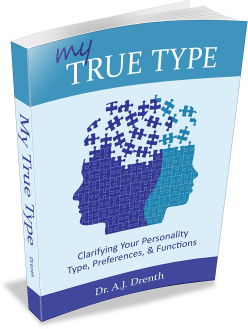 It serves as the dominant function for the INFP and ISFP, as well as the auxiliary function for the ENFP and ESFP. In this post, we will work to illuminate the nature of Introverted Feeling (Fi), comparing and contrasting it with related functions, including Introverted Thinking (Ti), Introverted Intuition (Ni), and Extraverted Feeling (Fe). What is Introverted Feeling (Fi)? If Fi involves an inner intensity of feeling or attention to feelings, it is reasonable to ask what sorts of things are stimulating to Fi. In other words, what provokes emotional responses and reactions in FP types? Although there a certainly myriad things that can impact Fi emotions, FPs seem particularly affected by children (especially their own), animals, music, novels, injustices, and the sick and needy. They seem particularly moved by those who can’t help themselves—those with special needs, the disabled, impoverished, and, of course, children and animals. All of these things, be they good or bad, can invigorate Fi and are consequently perceived as meaningful to FP types. FPs’ manage their feelings and values on a largely independent basis. While Fe turns to others for emotional support and kinship, Fi deals with emotional matters independently. When IFPs do opt to outwardly express their feelings, tastes, or values, they often do so through other functions in their functional stack. They may express themselves through action (Se), hints or suggestions (Ne), or matter-of-fact statements (Te). Since Fi is introverted in direction, IFPs may not even look like Feelers when viewed from without. Unless they are using their Se or Ne auxiliary, IFPs can seem cold, aloof, and uninviting. With that said, their emotions can still be read, to some degree, through their facial expressions and body language. My inner values and feelings (Fi) are like a building, a structure of affections that inform my worldview. This involves an inner love for certain things, and an inner repulsion for other things. My values and feelings form “blocks” of varying hardness, depending on how strongly I feel about them; the stronger ones are more resilient…I constantly discover more about the structure as I go, and what I should change to make it better. For example, I didn’t have to factually discern a respect for human dignity; I simply found myself in situations where people did not respect human dignity, and it made me angry — I found out that I hate bullying. As is the case with TPs, this inner structuring (i.e., inner Judging) grants FPs a strong sense of inner control and self-sufficiency. While FPs (especially IFPs) may feel they have little control over other people, they feel the one thing they can control and regulate is their own inner world—their own feelings, values, and decisions. Since Fi judgments are formed on an independent rather than collective basis, FPs tend to be wary of Extraverted Feeling (Fe) judgments and expressions. To FPs, Fe expressions can seem generic, predictable, shallow, fake, or contrived. There is little IFPs deplore more than those who seem fake, showy, or disingenuous. Their relative distaste for Fe may lead some IFPs to withhold expressing positive sentiments. They may even unwittingly repress positive emotions to bolster their idea of real and authentic feeling. Such individuals (typically INFPs) often see themselves as chronically misunderstood, expressing their melancholy and grievances through art, poetry, or music. These Fi-Fe differences can sometimes make communication uncomfortable between Fi and Fe types. 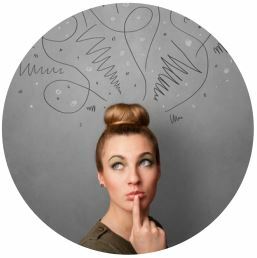 IFPs may get caught up in questioning the Fe type’s sincerity, while Fe types wish the IFP would express more feeling to create a greater sense of interpersonal rapport and emotional resonance. Unlike Fe, Fi is not overly concerned with cultivating positive feelings or good morale in a social environment (IFPs do like harmony, but this has more to do with their being uncomfortable with conflict than wanting to cultivate Fe rapport). Rather than focusing on general morale or interpersonal harmony, Fi is concerned with helping specific individuals who have personally moved or otherwise affected them. Interestingly, despite being a Feeling function, Fi is not really a social (or socializing) function. Fe types (especially EFJs) are typically stimulated by being around and engaging with people; Fe is characteristically interpersonal. Fi, by contrast, is intrapersonal. It involves a relationship with oneself, with one’s own emotions, tastes, and values. Consequently, IFPs are apt to be more choosy about who they spend their time with, since superficial socializing does little to stimulate their Fi. 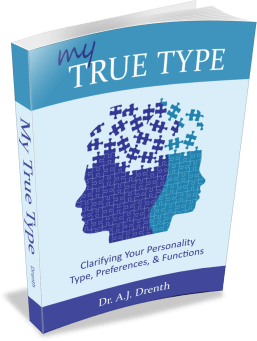 Since Fi and Introverted Thinking (Ti) are both introverted judging functions, they exhibit several similarities. Both confer a sense of inner order and structure, both are intensive and focused, and both involve a more individualized or subjective process of Judging. Just as Ti runs counter to the standardized methods of Te, Fi diverges from the broad, collective focus of Fe. In other words, both Fi and Ti are skeptical of certain conventional or “normal” ways of doing things. With that said, Fi and Ti also differ in some important ways. For one, they use different criteria for making judgments. In making a judgment or decision, Fi references feelings and values (e.g., good vs. bad, right vs. wrong, tasteful vs. distasteful). Ti, by contrast, is more logic-based, using true-false, logical-illogical sorts of criteria. However, since all types have and use both F and T functions (and often end up over-identifying with their inferior functions), these criteria can often seem quite muddled in reality. Another way of differentiating Fi and Ti is interest areas (although this too is often muddled by the inferior function). As we’ve seen, Fi types are often inspired to help the the sick, needy, children, and animals. Ti types, by contrast, are generally uninterested in caring for needy individuals. Since they use Fe rather than Fi, they are typically more concerned with contributing to society at large or being widely known than they are in investing their time and energy into a limited number of needy individuals. INFPs and ISFPs also tend to be more in interested in art, poetry, and stories/ fiction. ITPs, by contrast, are typically more interested in philosophical/intellectual (INTPs) or hands-on (ISTPs) pursuits, preferring works of non-fiction rather than fiction. As described in my type profiles, the differences between INFJs and INFPs are manifold. INFJs and INFPs actually share zero functions in common. However, it can be somewhat difficult, especially from without, to distinguish the inner processing of an INFP from that of an INFJ. However, we can use our knowledge of the functions to better understand the differences. As N dominants, INFJs generally don’t rely on a predefined inner structure in the same way that INFPs do with their Fi. INFJs approach each situation with fresh eyes, using their Se to subconsciously gather the situational puzzle pieces and their Introverted Intuition (Ni) to assemble them. Ni is primarily a synthesizing function. It uses as much immediate information (Se) as possible to produce an overall impression or “reading” of a given person or situation. Fi, by contrast, makes decisions according to a preexisting structure of inner values. Hence, IFPs are quicker to make judgments (inwardly) before collecting all the information about a situation. As IFPs mature and develop, however, they get better at opening up their Fi judgments with their Ne or Se to ensure they haven’t jumped to premature or erroneous conclusions. Dang, these type/function analysis are interesting.